There are just over 2000 miles of motorway in the UK. But there are more than 6000 miles of green lanes and trails that are legal to ride motorbikes on! Riding off road can not only be a blast, but also drastically help your riding when you return to the tarmac. 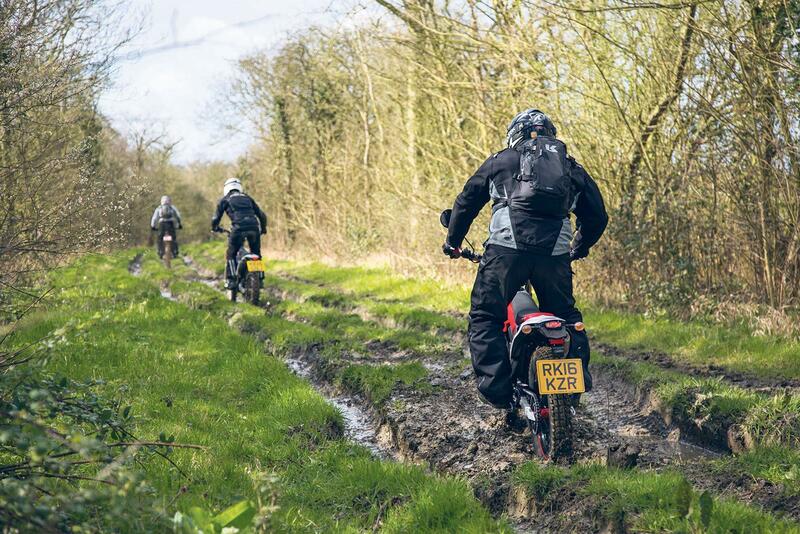 With reduced traction though things can go wrong quite quickly if you’re not careful and you can’t just ride down the first muddy lane you find. 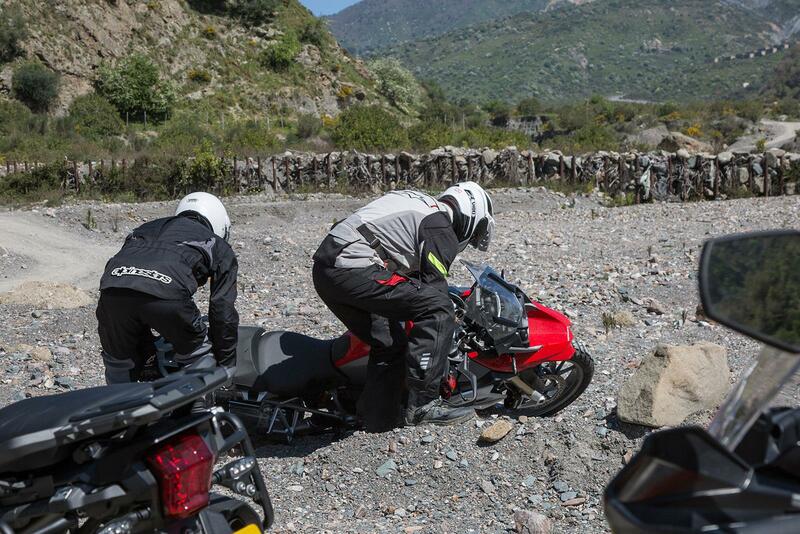 If you’re riding off-road then at some point you can expect to find your bike on its side, picking up a heavy motorcycle needn’t be as hard as some make it out to be though. Twist the bars so the front wheel is facing the sky and use the handlebar closest to the ground as your lever point. Walk into the bike as you lift and use your knee to steady it if you need to. The bike won’t slide away because you will have most likely dropped it in gear. When upright, swing your foot directly over the saddle and straight onto the peg. If you try to put the foot you threw over onto the ground you will end up see-sawing between feet and lose your balance. It’s the same when getting on and off a bike; instead of using the sidestand, open up the bars and swing your foot straight onto the peg. The easiest way is to join your local Trail Riders Fellowship group. Membership is £45 a year and your money goes towards protecting the lanes as well as seeing you become a fully fledged member. The Fellowship exists to protect the road network of England and Wales and promote use and prevent bans. It operates a network of local groups throughout England and Wales, with most organising trail rides on a weekly basis. You’ll join a like-minded local group who will take you to these lanes and show you where you can and can’t go. Most members run adventure bikes and are happy to help other riders learn how to make the most of trails. Visit www.trf.org.uk for more info. Trail riding is not ‘off-roading’. The routes used are all public highways with vehicular rights. Bike and rider must therefore be fully legal. Green lanes are sensitive environments and the TRF has a Code of Conduct to ensure the right to use them isn’t compromised by careless behaviour. Find it on the TRF website. The best way to ride a bike off-road is to stand up. You will have far better vision, better control, and will be able to let the bike move beneath you. Knees should be straight but not locked, with elbows out. Look straight ahead, not down at the ground, two metres further than where you are already looking. The routes used consist of Byways Open to All Traffic (BOAT) and Unclassified County Roads (UCR). Other unsurfaced lanes and rights of way are not usually open to vehicles. BOATs are marked as such on Ordnance Survey maps, while UCRs are shown as Other Routes with Public Access. 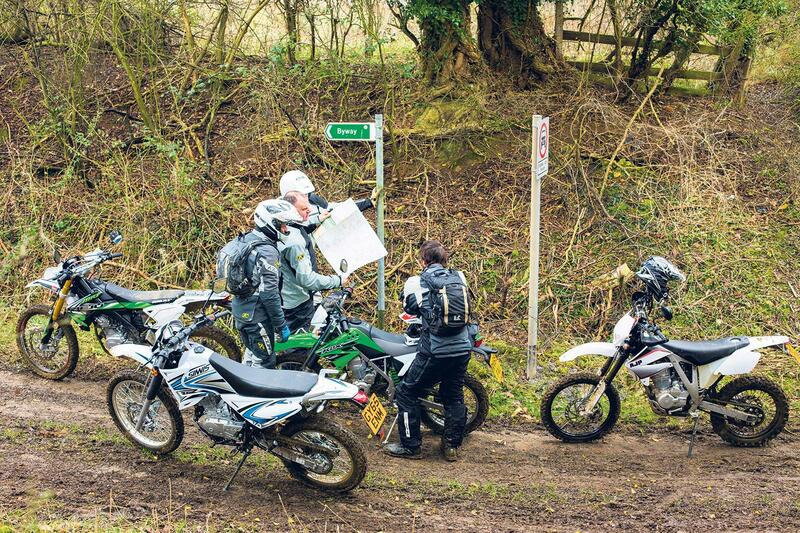 Contact the local Highways and Rights of Way Department and check with the local TRF group to be sure of your rights before riding as some routes may be closed by Traffic Regulation Orders. Visit ordnancesurvey.co.uk for info. 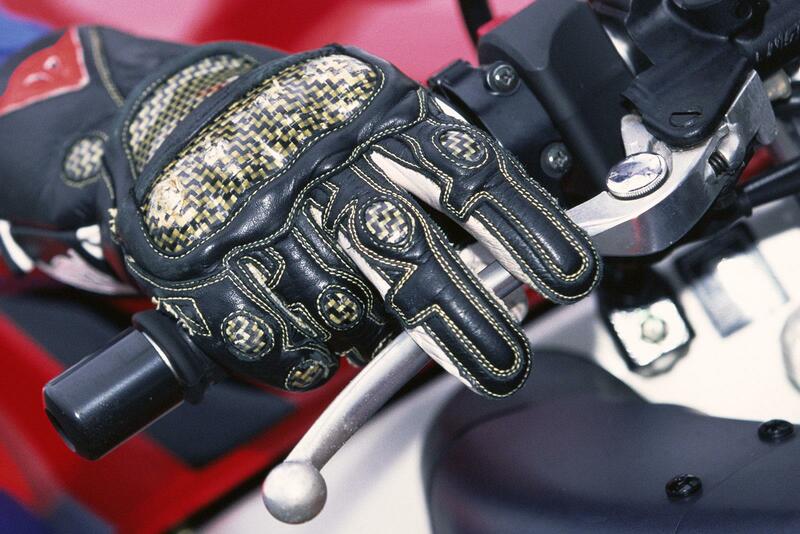 Always cover the clutch with one or two fingers so you can react quickly to changing situations. It takes too long to move your hand from the handlebar to the clutch, and you can’t rely on your thumb for grip if you have to yank the lever in. The same goes for the front brake. Think of the clutch as a kind of half-gear; feather it so you can take drive away instantly when riding into a corner or making a sharp manoeuvre. 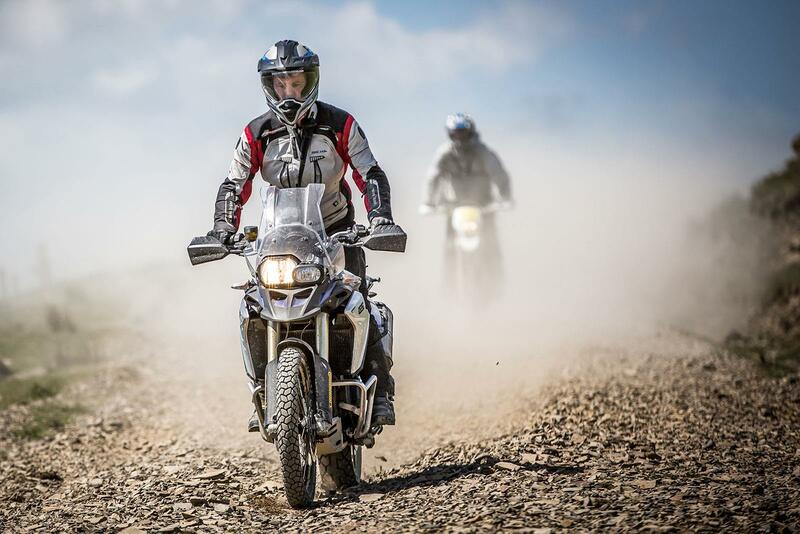 Riding off-road can be intimidating, especially to those who might not have ridden on the dirt before and the idea of muscling a heavy adventure bike on ground where traction is heavily reduced can put some off. Thankfully there are plenty of schools that can help. 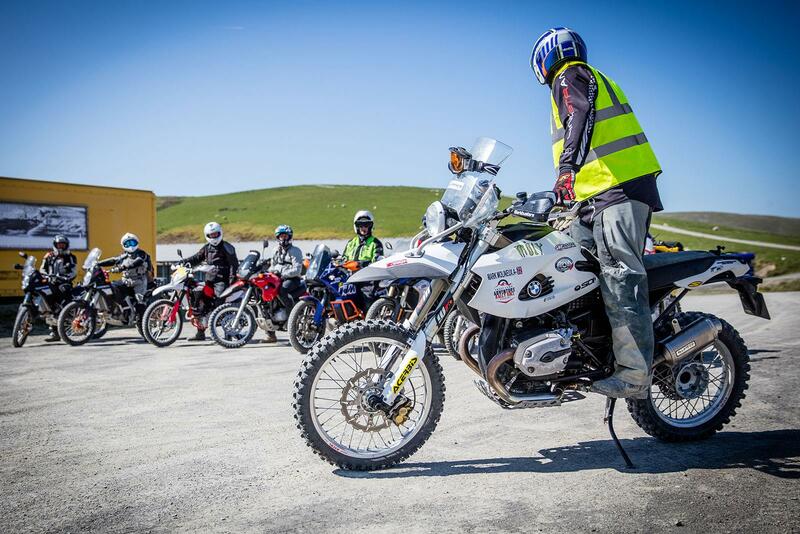 Schools such as Si Pavey’s Off-Road Skills course, Patsy Quick’s Desert Rose Adventure Riding Academy, the Sweet Lamb Adventure Rally Bike Academy and the Dave Thorpe Honda off-road centre are but a few of the best available. 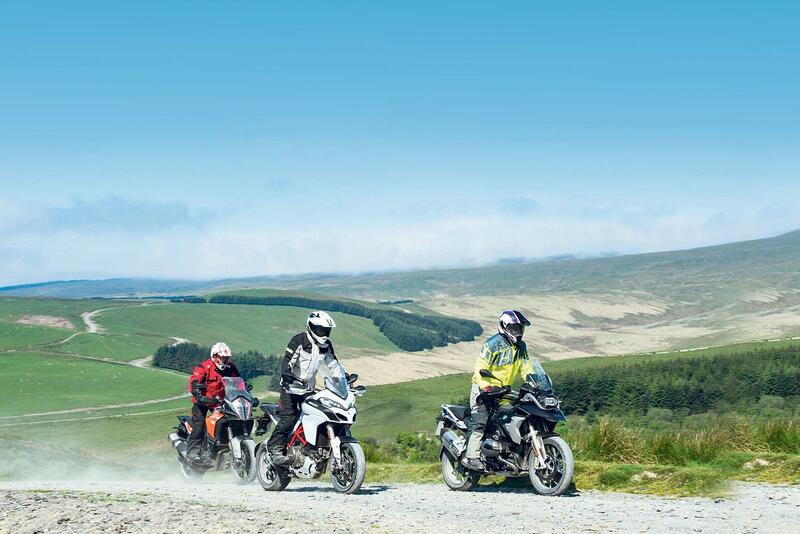 With knowledgeable staff who can bring on your riding, you’ll find that venturing off the beaten track becomes a pursuit and no longer a daunting prospect. One of the skills you need off road is climbing. 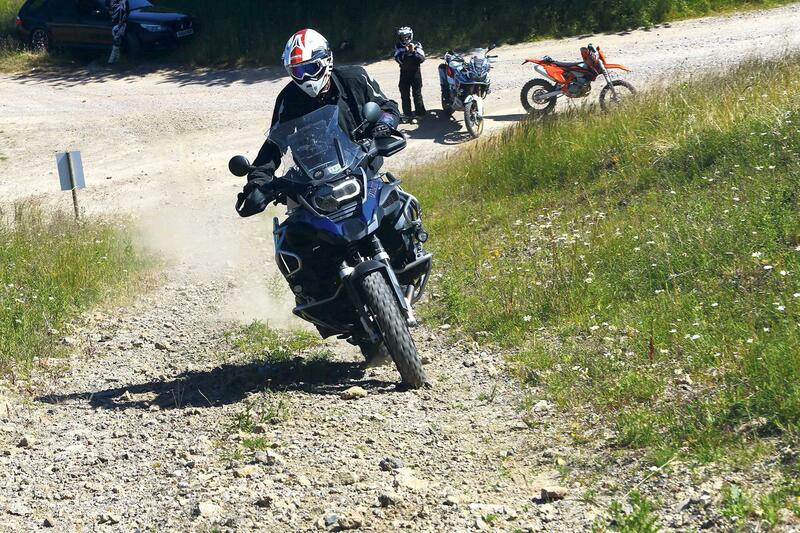 MCN Sports Editor, Michael Guy explains the best technique for when things get steep. Assess the ascent and plan your speed, gear and momentum. You need to hit your ascent speed before the climb starts and use your momentum rather than engine drive to crest the ascent. Only use enough throttle to to maintain momentum; it's not a race. If you start to slow down, add a bit more. Use your weight to find drive. Adjust your body position to make sure you are pushing all of your weight down through the footpegs. This will help the rear wheel find and maintain traction. Losing traction mid-ascent is dangerous and can result in having to manually recover your bike off the hill. Keep your eyes on the exit point, assessing speed and route all the time. You should crest the ascent at a speed that allows you to assess the next obstacle and stop if necessary. Check the weather and wear appropriate kit. The forecast isn’t always perfect, but gives you a good idea. You don’t want to be freezing, cold and wet in winter and the opposite in summer.